Psychic medium. What comes to mind when you hear those words? Does one think of doubt? Or fear of the unknown? Or subliminal curiosity that hides behind personal pride? Maybe all of these hit close to home. However, in my case, it was more like freedom from the known and intrigue. ask what those lines on my non-moisturized hands meant. The closest thing to a psychic reading I have ever had was probably when I was a kid and my mother would say that if I didn’t finish my supper, I probably wouldn’t be having any dessert. Her prophecy came true every time. I still stand flabbergasted. I was asked to call Matt Fraser for an interview. If you aren’t yet aware of him, you soon will be. At the tender age of 23, Matt has already been a key noted guest on many shows such as local NBC morning news, CBS Radio, Fox News, Coast to Coast and many more. You bet that he has brought thousands of tears of joys to thousand’s of people’s cheeks and has ruined thousands of mascara jobs too. His ability to tap into the other side all the while thriving in the positive white light comforts many of his fans into knowing that any experience they have with him will be an uplifting one. It becomes soon apparent that Matt, unlike some other psychics, does not tread in a world of negativity and darkness. And so I made a call to Mr. Fraser, excited to learn more about what makes him tick and where this ability manifested. Within moments of our phone introduction to each other, Matt was pulling rabbits out of his hat already. I didn’t even ask for a quick reading nor did I expect one. This was very impressive to hear because it was absolutely correct, which left my mind happily awestruck. I had seen some of his other work on YouTube and had even read his book “The Secrets To Unlocking Your Psychic Ability”, so I knew he was no yellow starburst sort of psychic medium. 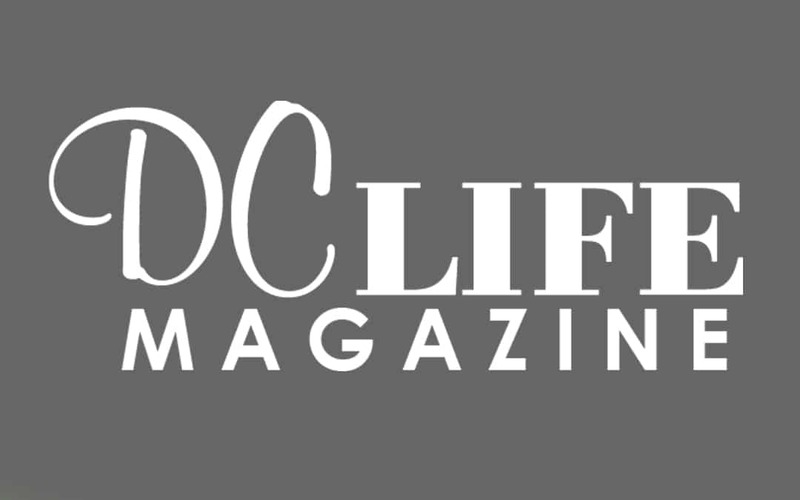 DC LIFE MAGAZINE: A brief history of Matt Fraser? Matt Fraser: My grandmother and mother had the same ability that I do. Grandma was a psychic but she was not a professional, only close friends and family members knew about it. My grandfather never knew she practiced it, nobody ever even spoke about it. The shades in the house were always drawn and my grandfather would come home and wonder why they were like that and then my grandmother would say something to the extent that she was just having tea with her friends. It was a very taboo thing at the time to talk about. Fast forward to me at 4 years old, and I was already seeing the departed. When I was 5 or 6 I began having visitations from other spirits and having messages relayed to me. I was so afraid of this but my mom wasn’t worried, she knew exactly what was going on. And so the more I pushed this gift away, the less frequent the visitations became. I slowly started to grow into acceptance with my ability as my teenage years came about. Fast forward again to being out of High School and I became an EMT and even worked for the World Trade Center in Boston because of my passion for helping others. And now, here I am. DC: As a psychic medium, what makes you, in your opinion, different than the other psychic mediums out there? MF: That’s a good question. I try to have a very personal and intimate experience with all of those looking for answers. All the posts on my social media websites are me. When I wake up I do inspirational posts for all to see. I want to be up close and personal and let these people know that I really do care about them. I also try to refer to all of my psychic readings as family reunions because that really is what they are! DC: Your book, “The Secrets to Unlocking Your Psychic Ability”, is a great guide to deepening your personal intuition, as I have found. What else can you tell our audience about your book? MF: My book is full of exercises I use when getting back into my personal ability. It’s really a quick read. It will certainly help you with finding your strongest ability and how to tap into it because I do believe that everyone is at least a bit psychic. DC: I feel in the United States we are so stressed and hurried and sometimes even a little bitter with everyday life (work, relationships, finances, illness) that we forget to thank God for how blessed we are, which I believe leaves people lost in the monotony of it all. It seems that a positive reading for everyone whether it be from you, or someone like you, could have a major impact on society. What’s your opinion on that thought? MF: I agree. There is so much stress in society, I absolutely believe that a reading could show people there is no reason to have a bad day. Everyone is given a tool to tap into their ability. It’s all about looking at the blessing, the grateful blessings in all of your surroundings. Everybody in life has a different angle of looking at things. Again, there is no reason to have a bad day, with the exception of somebody dying of course. These are things to consider. DC: Being as gifted as you are with this ability, is there anything in life that might be a little harder for Matt Fraser to do compared to most people? MF: (ponders for a moment) The hardest thing for me…would definitely be over crowded places such as the subway. It’s a constant inner knowing and vibe of feelings from everyone around that all comes at me at one time. It’s hard to process all at once. DC: You’ve got a day off and a clear schedule. What’s your perfect day? MF: That’s an easy answer. Sitting on the beach and doing nothing. But even sometimes it’s hard to relax then because my psych never turns off completely. DC: At this moment I am booking tickets for you and I to go to Vegas and play the cards, I think you would be a great team-mate for poker, don’t you?